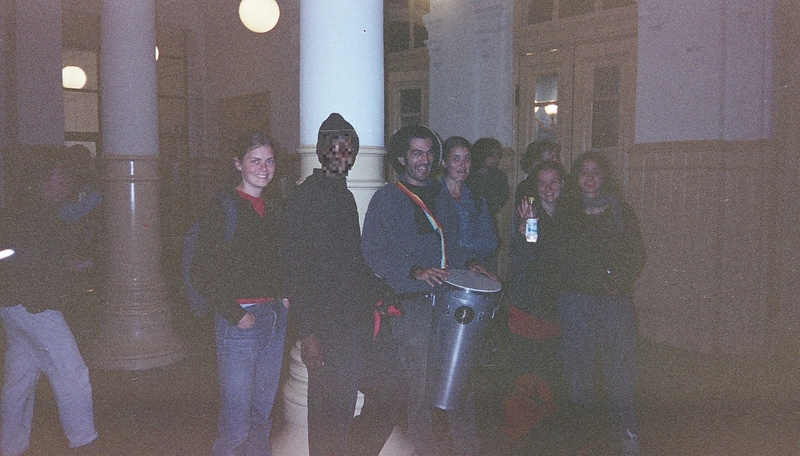 As noted in other posts (here and here), two comrades from South Africa’s anarchist Bikisha Media Collective, a successor of the Workers Solidarity Federation (WSF), attended and spoke at the anti-European Union summit in Gothenberg, Sweden, in mid-June 2001. The following newspaper clipping (in Swedish, from Aftonbladet, then Sweden’s largest tabloid), had some coverage of the event. 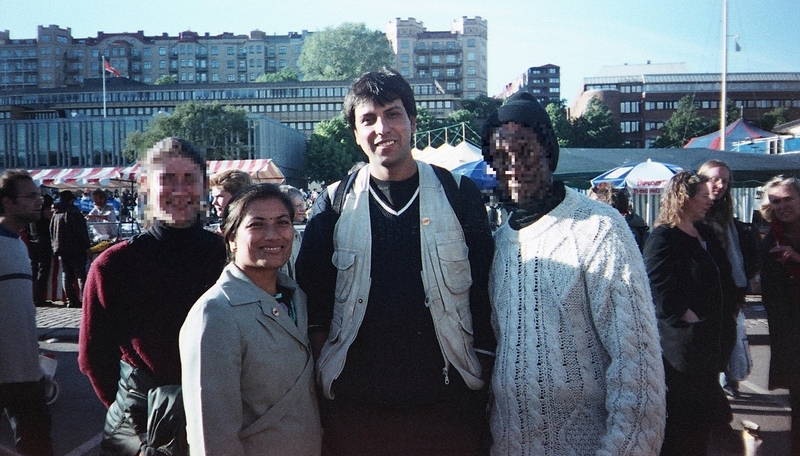 By sheer luck, it also included a picture (p. 15) of the BMC comrades (see main photo, the two people in the foreground, right, in brown and green jackets respectively). 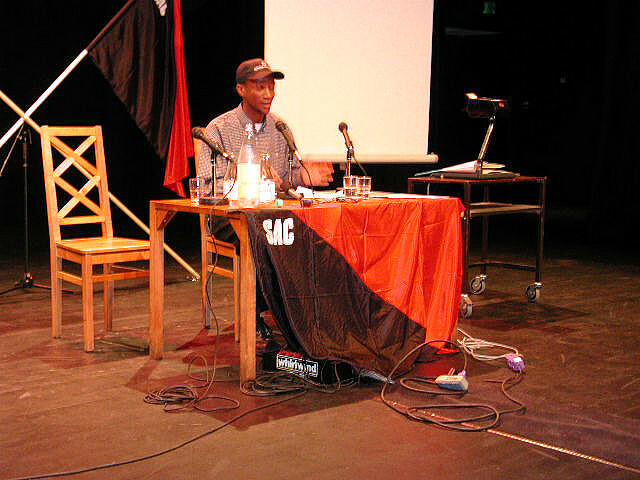 The photo below recently surfaced at Wikipedia, where it was incorrectly identified as the image of a speaker from the Zabalaza Anarchist Communist Federation (ZACF, later ZAC Front) speaking in 2005. 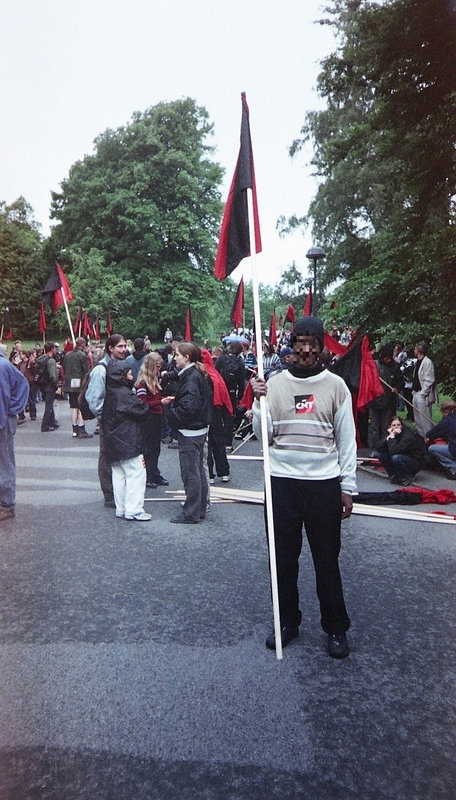 In fact, the speaker is comrade AN, from the Bikisha Media Collective (BMC), speaking in 2001 at the Gothenberg anti-EU protests. More on the BMC in those events can be found here. 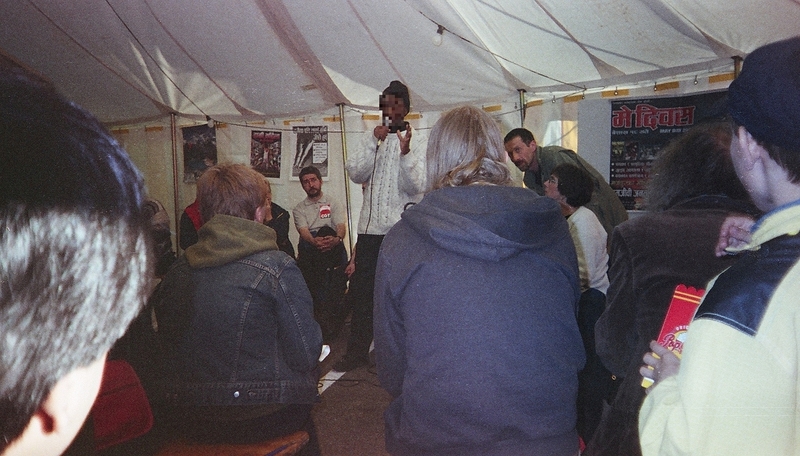 Members of the Bikisha Media Collective attended the April / May 2000 “Le Autre Futur” international anarchist and syndicalist congress hosted in Paris by the National Confederation of Labour-France (“Paris”/ “Vignoles”, hereafter CNT-F). 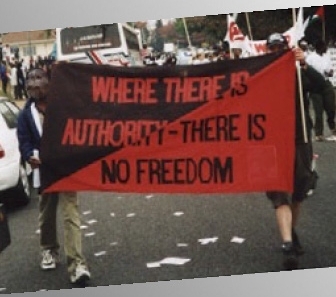 This brought together a number of formations, internationally, mainly the bigger revolutionary and anarcho-syndicalist unions. 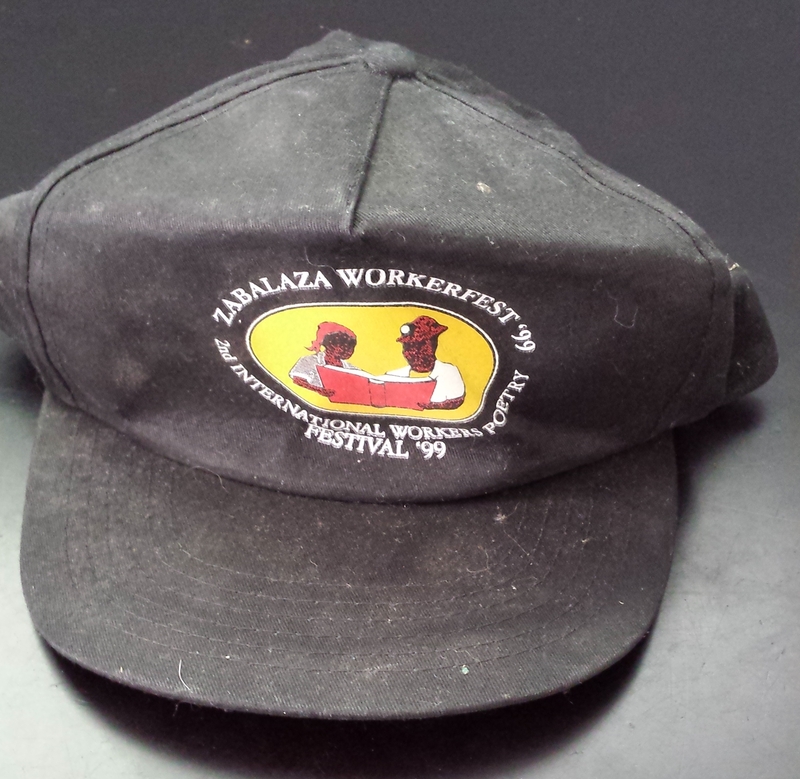 These included the Industrial Workers of the World (IWW) from the United States, the anarcho-syndicalist Unicobas from Italy, and the General Confederation of Labour (CGT) of Spain. Also present was the syndicalist-influenced Central Workers Organisation (SAC) of Sweden. BMC members participated actively in the events. 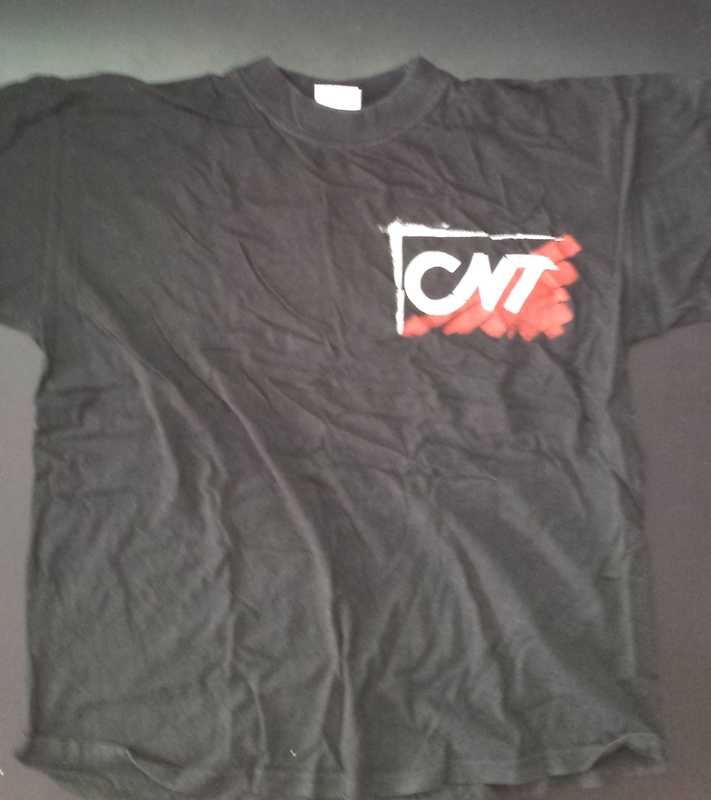 Note: There were important splits amongst the syndicalist unions internationally, thus the CNT-F hosting this event was known as the “Paris” or “Vignoles”CNT-F after its headquarters at 33 Rue de Vignoles (33 Vignoles road) in Paris. BMC and its successors never took an official position on the splits, but it would be fair to say that they had and have historic ties with the CNT-F, CGT and SAC. 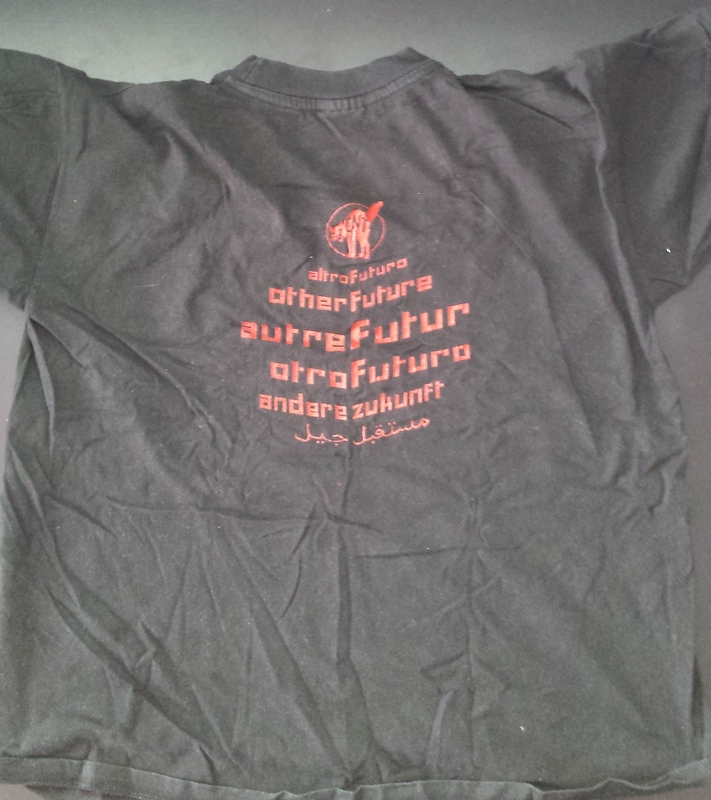 The t-shirt below was an official event t-shirt bought by a BMC member.